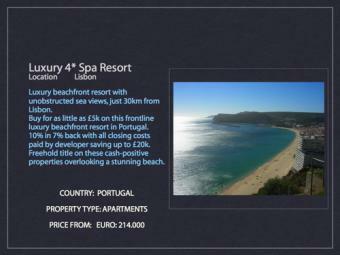 Buy for as little as £5k on this frontline luxury beachfront resort in Portugal. 10% in 7% back with all closing costs paid by developer saving up to £20k. Freehold title on these cash-positive properties overlooking a stunning beach.